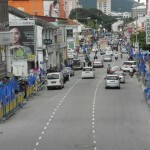 penang PR win big in the GE13 – welcome! YAHOO!!! i'm so happy and damn proud because i'm a penangite. that's right…. despite so many free food and free concerts that barisan nasional (BN) dished out to penangites, glad to know that penangites did not choose BN! of course there were also the money politics that had been going on and votes buying and gangsters in action…. oh and the so many many 1malaysia flags that can be seen here, there, everywhere, obstructing pedestrians, traffic, turning art-pieces ugly and so on. i guess penangites were very disgusted at the money politics and the many 1malaysia flags, that they decided to teach BN a lesson. sure, the daily free food, you see so many people there, the concert with international singers, you see many people there, the money 1malaysia/BN blatantly and openly give out to not vote PR and people taking it – yes they went to the free food, they take the money but they know NOT to vote BN!! kudos to my fellow penangites. well, penang now has 40 state seats. 19 came from DAP. all the 19 DAP candidates contested, won the seats! 9 from PKR and 1 from PAS. in parliament, they have 10 seats, 7 from DAP and 3 from PKR. well, you can read the report about the penang win from the star online. full result can be found on the SPR website. 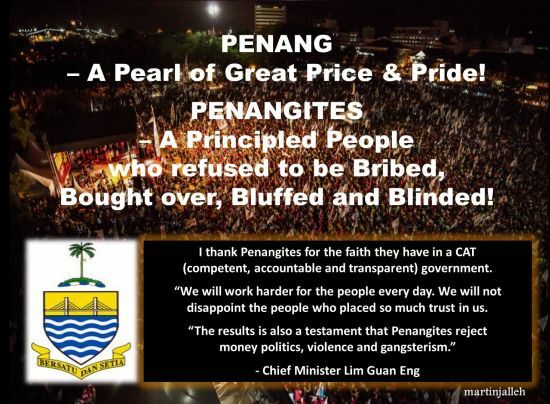 i'm very glad that penang managed to obtain 2/3 majority and continue to rule penang. the charismatic, likeable lim guan eng will continue to be our chief minister. however, i'm sad that PR did not managed to capture putrajaya (be the federal government). 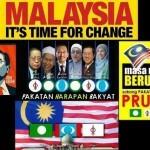 so sad… and this was because BN cheated! there had been many documented cases with proof, especially on videos on the fraud that happened e.g. busloads of banglas with IC ferried to voting centres, vote buying, sudden blackout that cause extra ballot bags to appear and lots more. here is the list taken from someone's facebook. well, bersih is going to set up a tribunal to investigate all the frauds that happened, so if you have documented proof, do contact them. 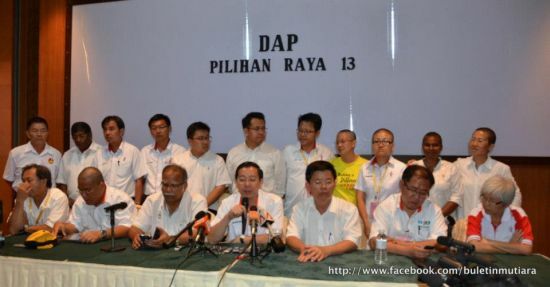 above picture shows all the 19 DAP candidates who won.